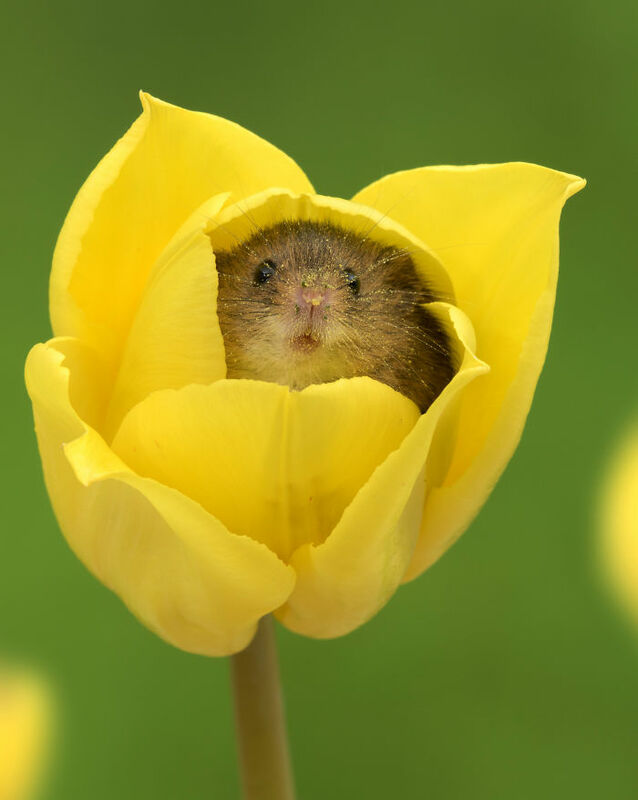 We all have bad moments in our life and at some point it seems there’s noting we can do to change that bad mood. 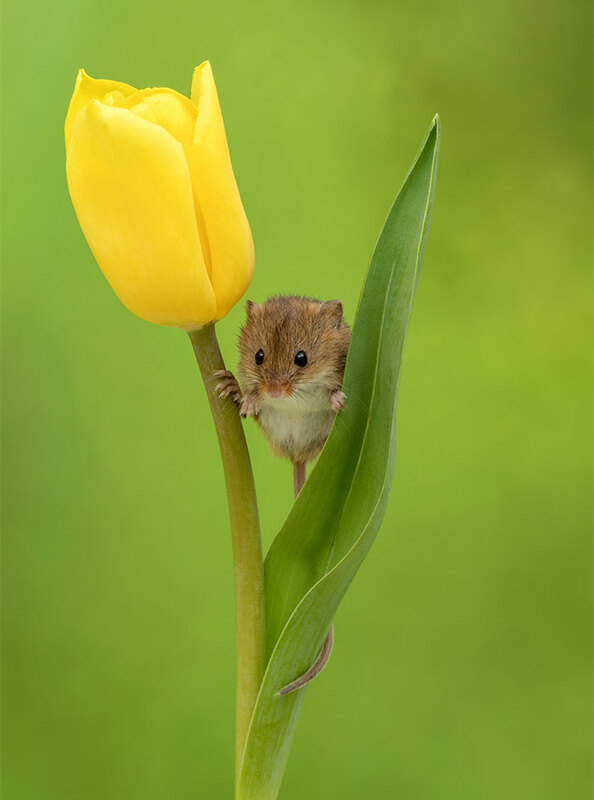 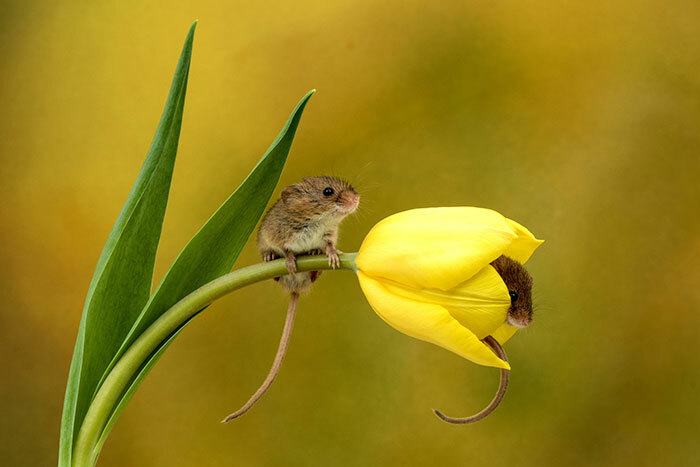 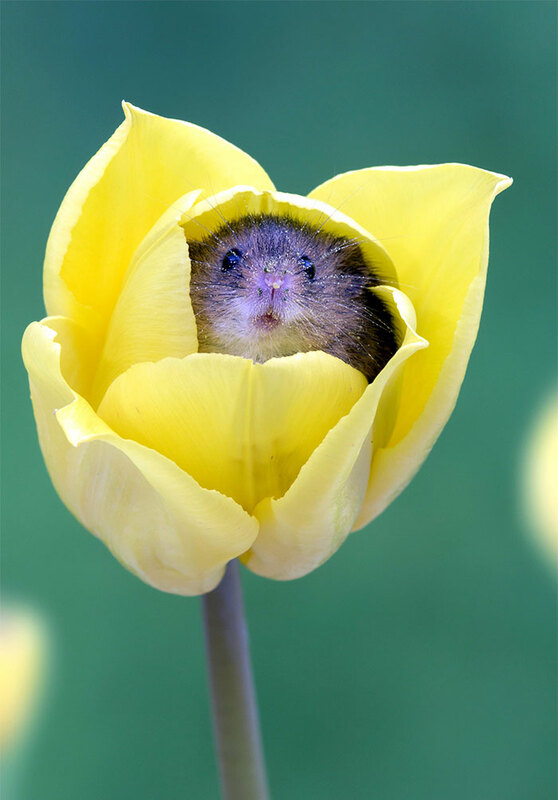 But a cute little animal will always bring a smile to your face, like this adorable harvest mice, for example. 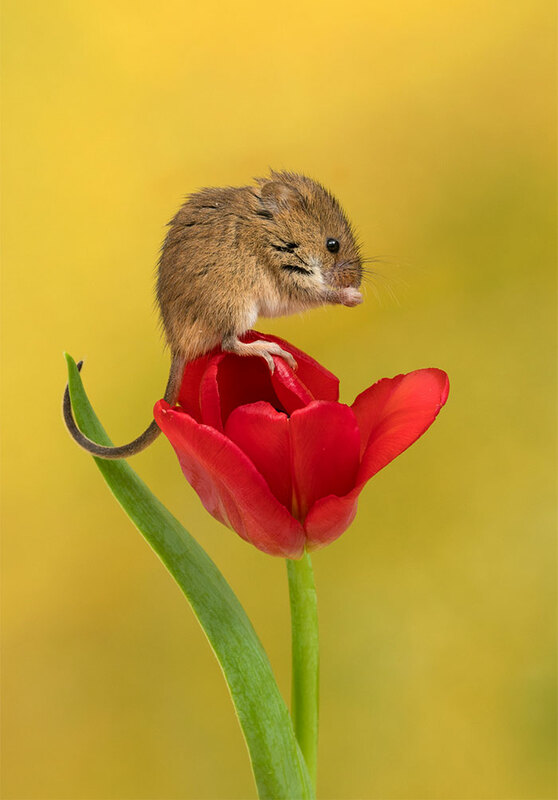 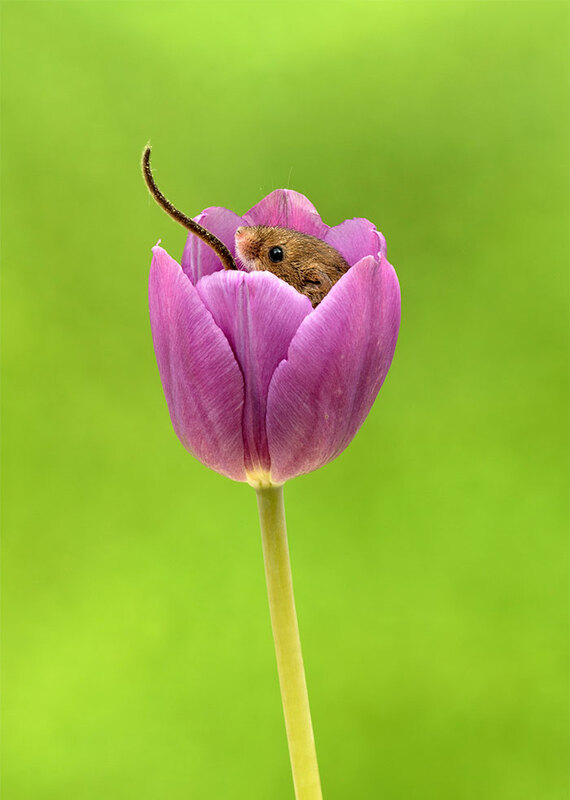 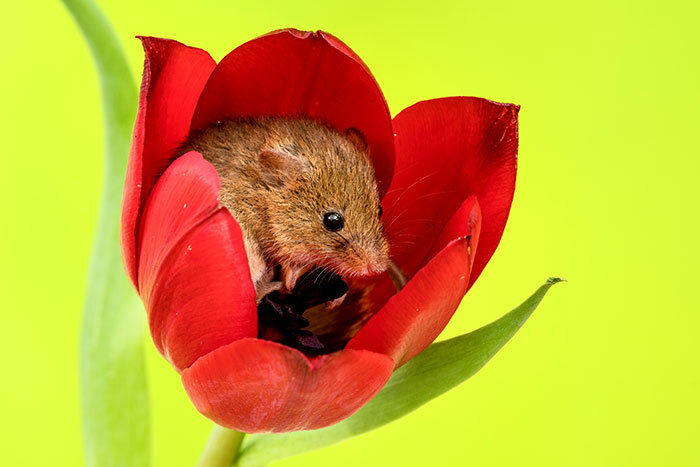 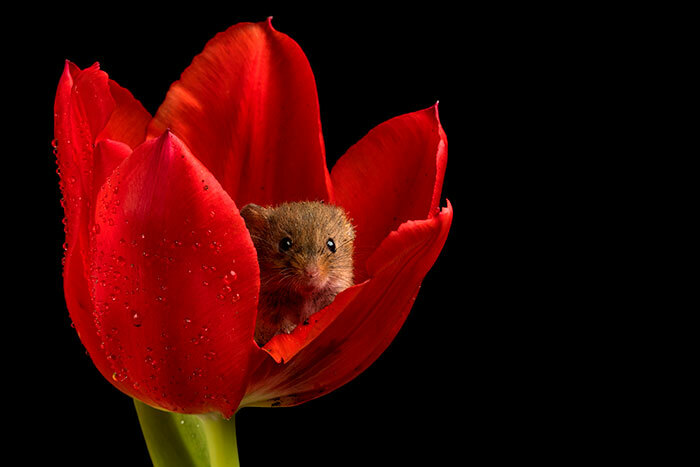 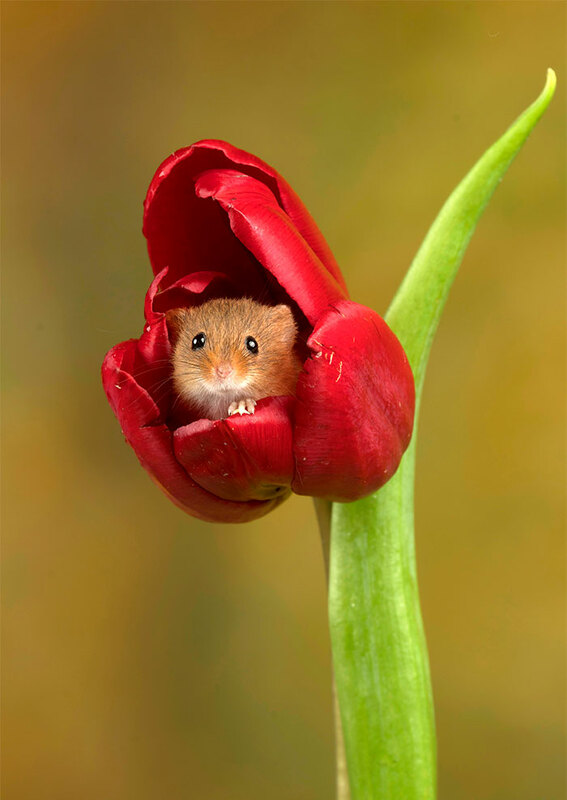 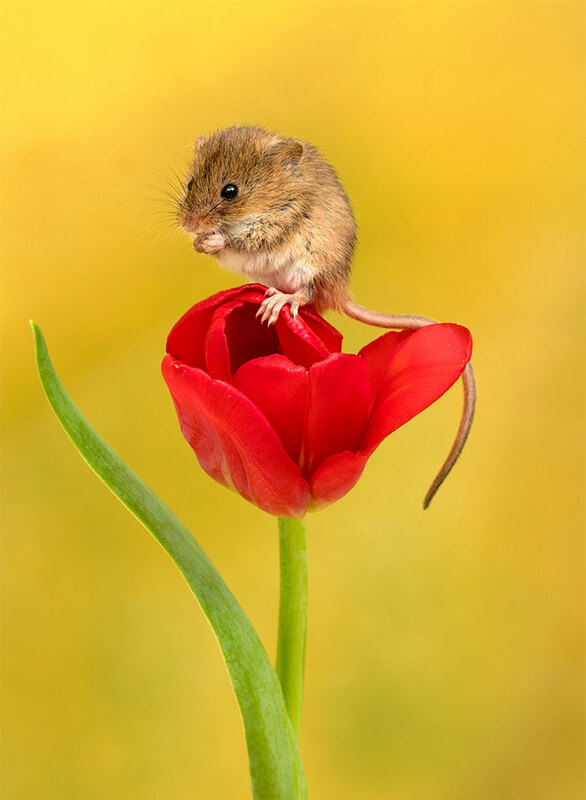 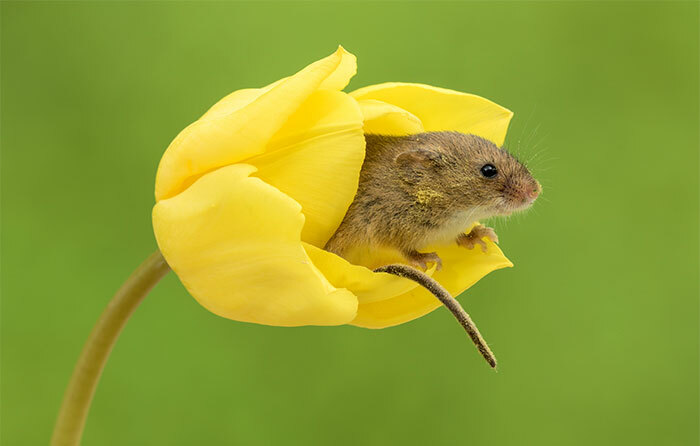 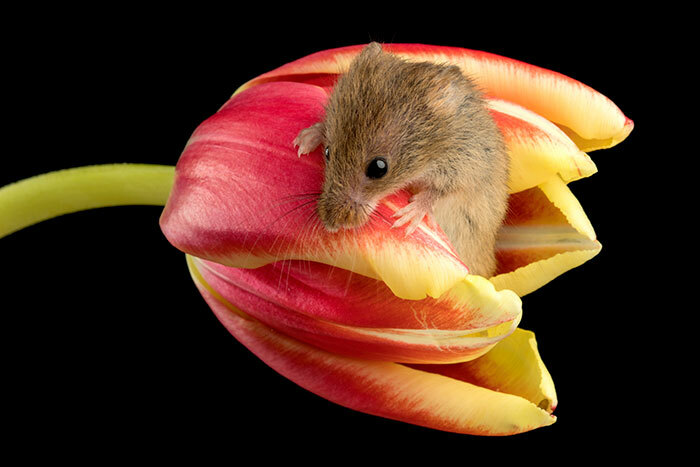 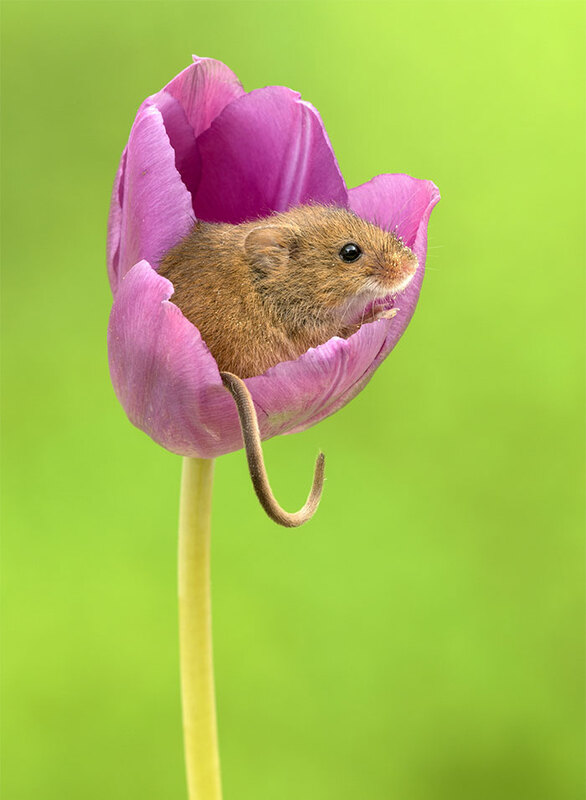 He declared for Daily Mail that “it’s always a pleasure watching these endearing little creatures as they go about their business.” “The mice love to eat the stamens and nectar from the flowers and enjoy climbing in and out of the tulips. 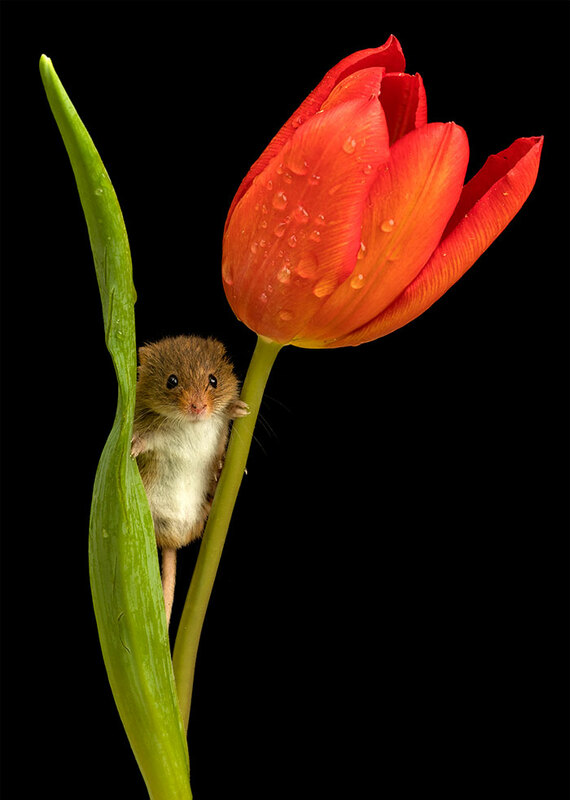 Harvest mice are the smallest mammals in Europe that have a prehensile tail. 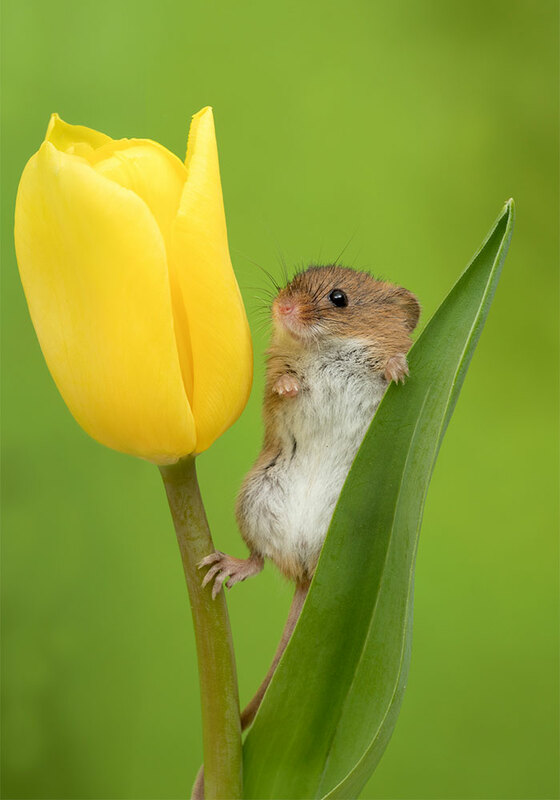 They use this to help them hang on and balance when they climb or as an anchor when they are eating. 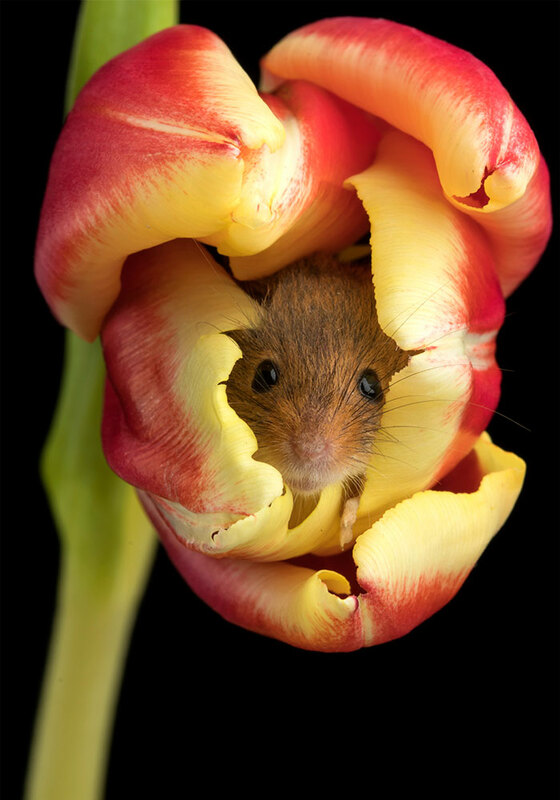 Watching and photographing them is absolutely fascinating and only slightly addictive,” the photographer added. 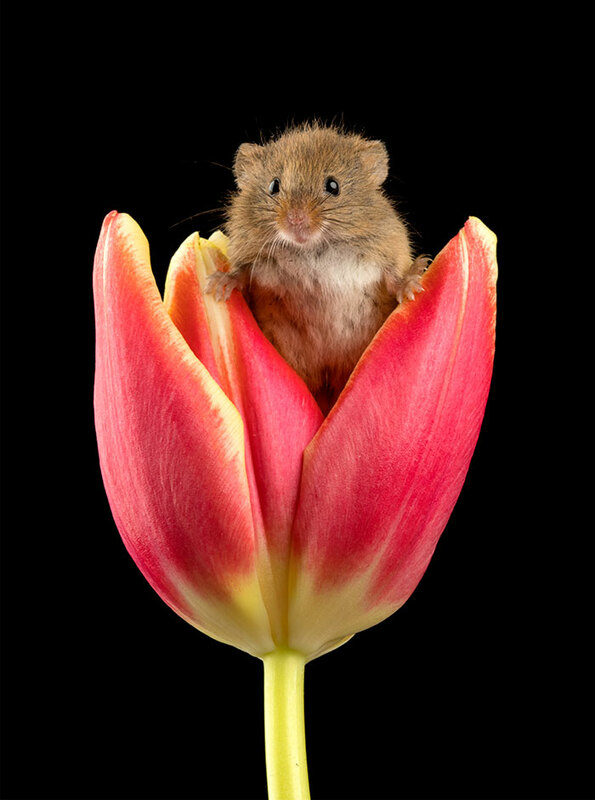 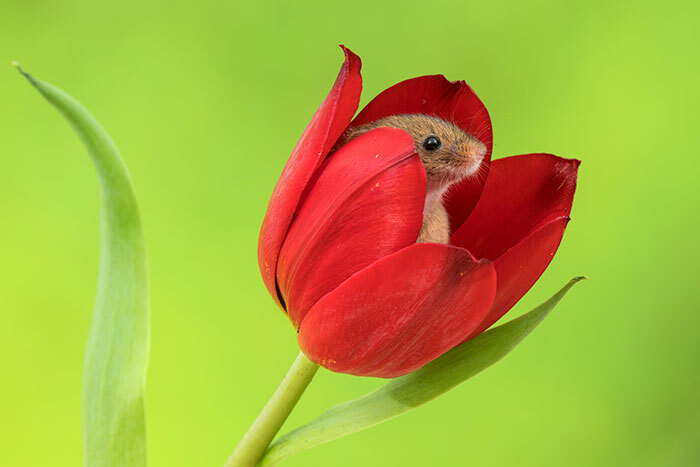 It’s impossible to not fall in love with this adorable little creature who’s enjoying his moments inside the tulips like he’s a little bee. 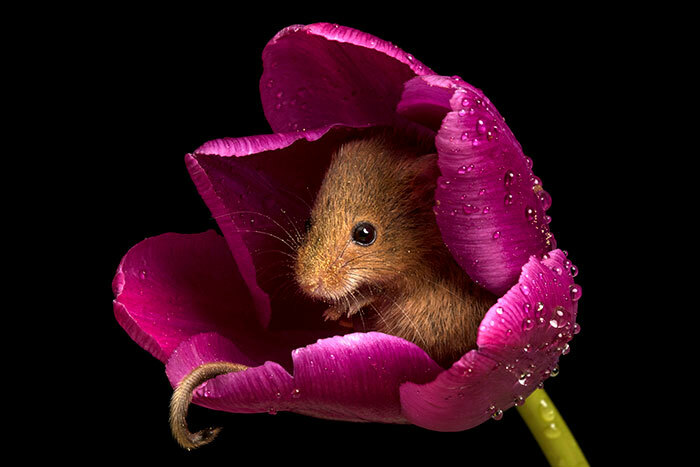 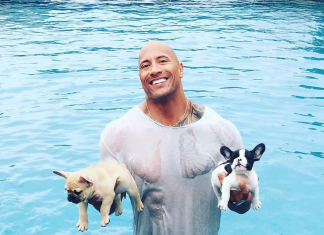 Scroll down to discover the cuteness overload and prepare yourself for some heart-melting moments!